﻿ Electronica China2019 Show is in full swing - Brand Dynamics - H.C.C. INTERNATIONAL LIMITED. On March 20-22, the 2019 Munich Shanghai Electronics Show was held at the Shanghai New International Expo Center. As an important electronics industry exhibition in Asia, this event will showcase the most cutting-edge products and technologies in the electronics industry, including semiconductors, sensor technology, micro-nano systems, power supplies, passive components, switches and connector technology. Today is the second day of the exhibition. The number of exhibitors has obviously increased compared with the first day. The scene is very popular. 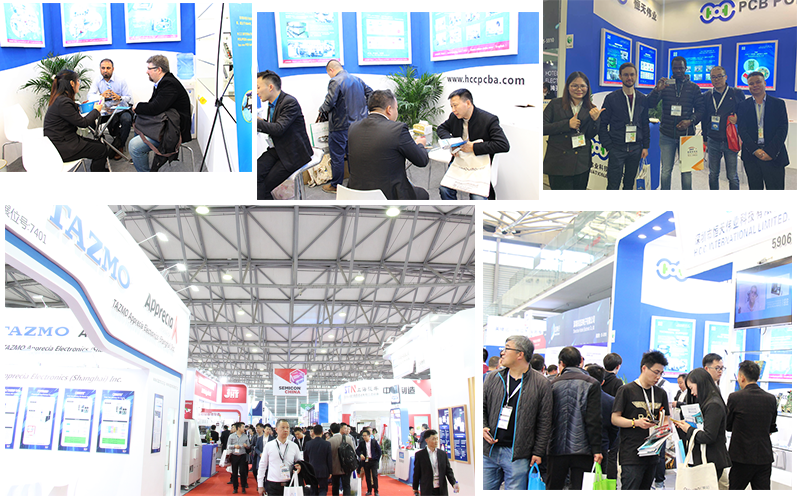 HCC GROUP, as one of the exhibitors, took the company's main sample PCB and PCBA to participate, and was recognized by many domestic appearance exhibitors. The company's OEM one-stop service business is highly praised by the exhibitors. Let’s take a look at the hot scenes now! The Munich Shanghai Electronics Show is still in full swing. I believe that this exhibition will allow many exhibitors to be fully rewarded and the exhibitors will be satisfied!